Ever since my first taste of a sour beer I’ve been hooked on this tart nectar. My first experience with a sour was a New Glarus Belgain Red, this beer is a fantastic sour brown ale with tons of cherry flavor. 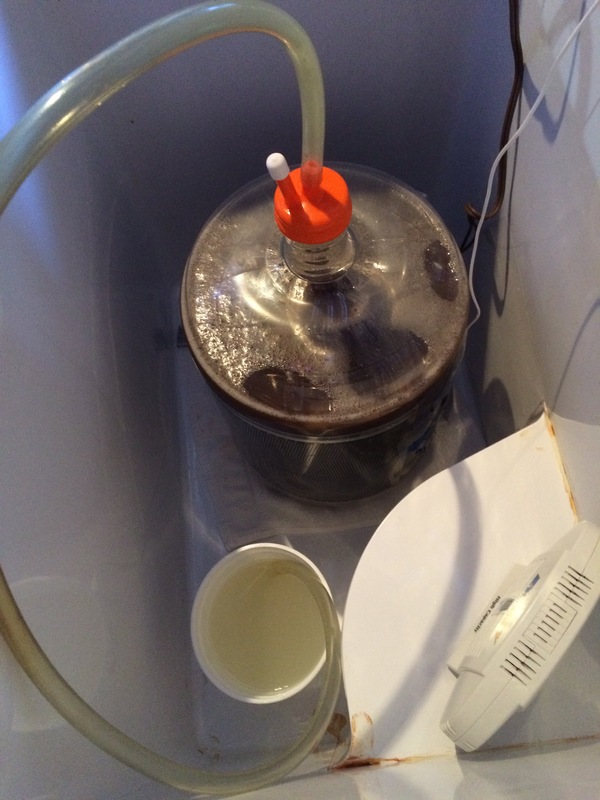 As a typical home brewer I’ve been mortified of introducing bacteria and brett into my process. 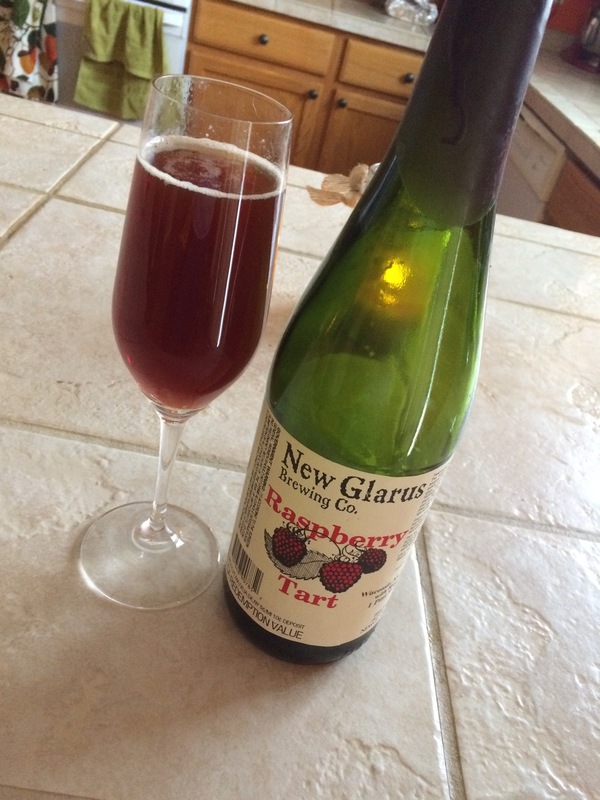 That being said I recently had a bottle of New Glarus Raspberry Tart with thanksgiving and decided it was time to put my cleaning and sanitation to the test. Plus I recently opened up my oak barrel, and decide it’s time to inoculate it with bugs! The idea behind this beer is something that straddles the line between a Flanders brown and red. I added a decent amount of caramunich to give the bugs some residual sugars to chew on over the next year. I purchased water and malt the evening before my brew day. Using the Bru’n Water spreadsheet I modified the water profile to be similar to the Flanders profile. The next morning I heated my strike water and mashed in hitting my target mash temp within one degree. For the next 60 minutes I weighed out my hop additions, made a pot of coffee and eggs, wished my wife a great day at work, and fed my dogs. 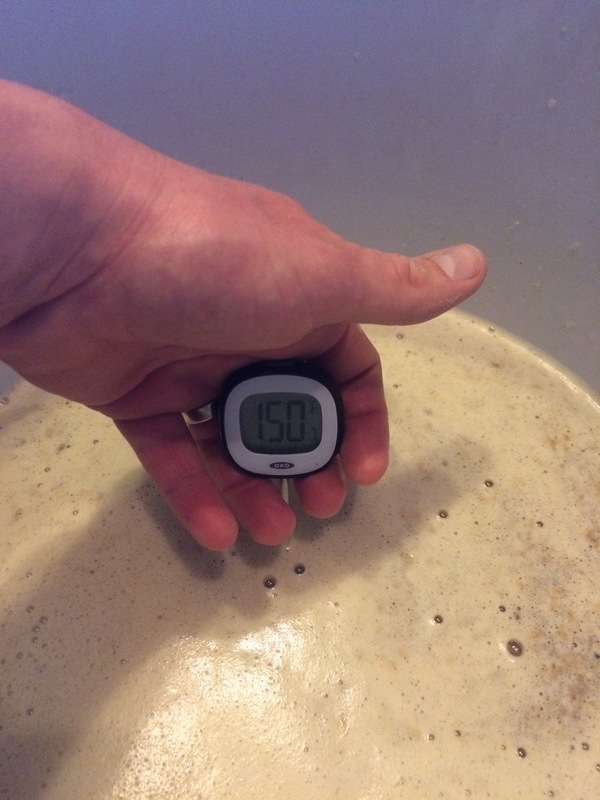 By the end of the 60 minutes my mash PH was 5.2 and the temperature had dropped two degrees to 148. 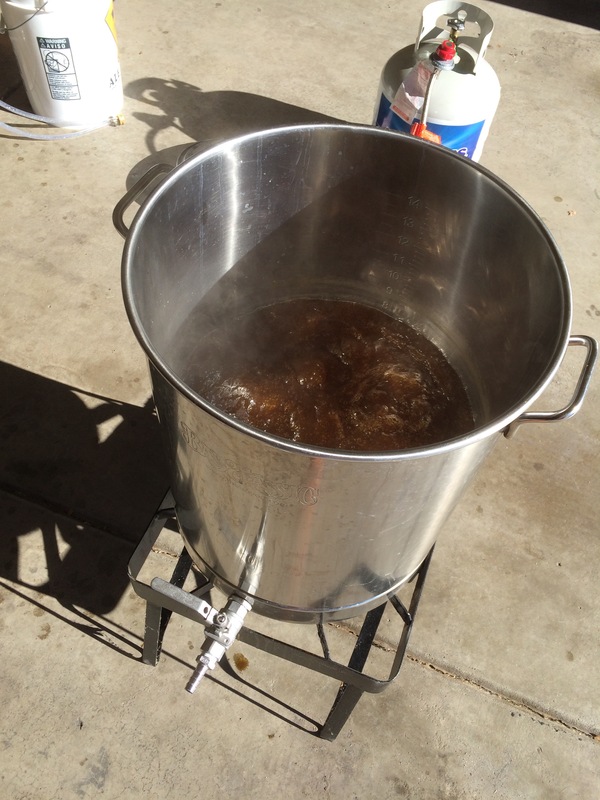 I collected the sweet wort which smelled amazing with the addition of a tiny amount of NB hops. I brought the kettle to a boil, set my timer and walked away. Since adding fermcap-s to my routine I’ve never had anything resembling a boil over. During the boil I prepped for thanksgiving dinner which we were hosting this year! I baked a pie, made tom and Jerry mix, and brined a turkey. Once the boil was over I chilled the wort down to pitching temp (80 degrees) within ten minutes thanks to my great immersion chiller, and put the fermenter in my chamber set at 80 degrees. Next up, I opened Pandora’s box! 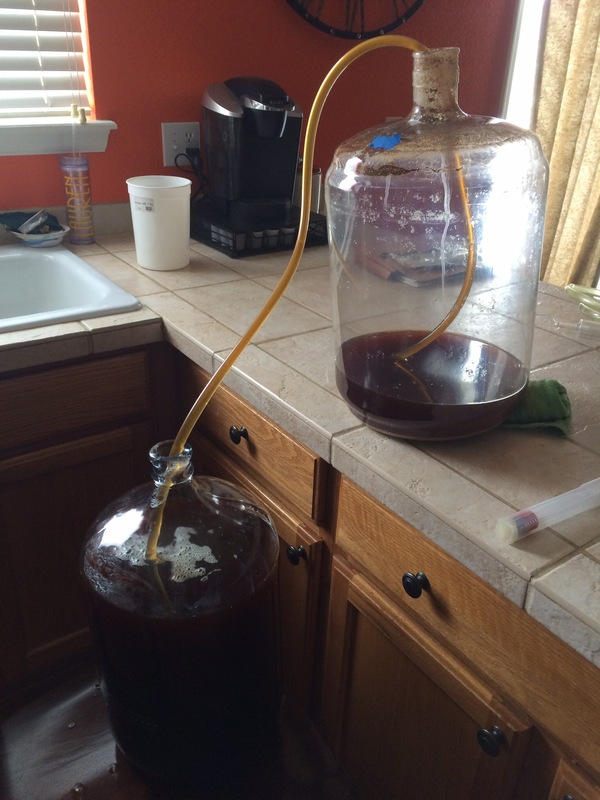 Fermentation began so quickly and was one of the most vigorous I’ve ever experienced. We all agreed there were hints of tartness but nothing like the flavor I hope this will eventually attain. With primary fermentation complete I plan on moving this carboy to a closet in my house for the next six months while the Brett and bacteria start to do their thing. I will certainly update this post as the result roll in (pictures too!). No cross contamination! Yay I survived my first foray into sour beers. I plan on brewing another soon using the Yeast Bay’s melange blend. 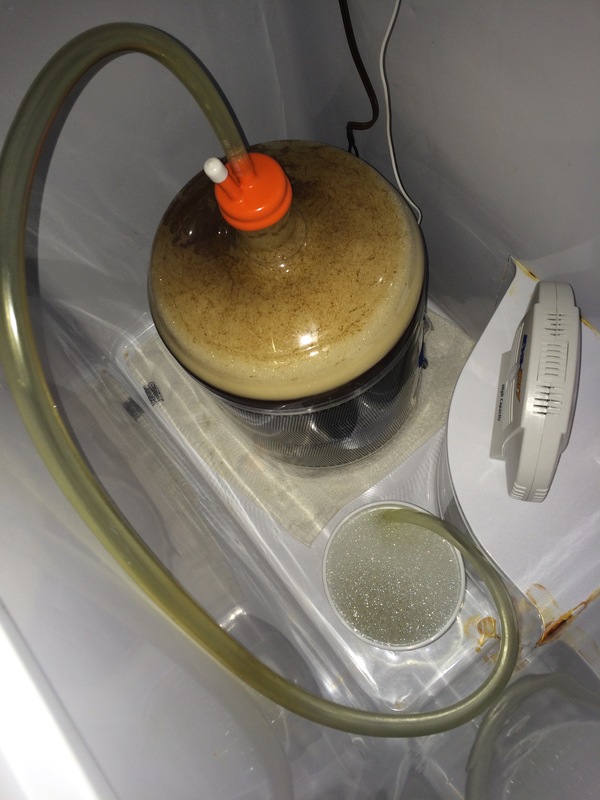 Beer was racked to a 5 gallon glass carboy filled to the neck, placed in an upstairs closet insulated with a blanket. At this time the beer is quite sour which is quite exciting. 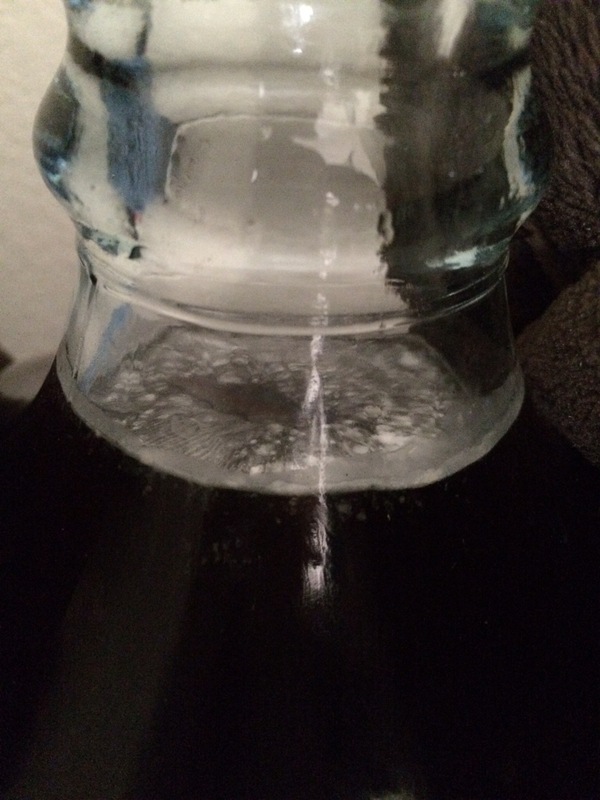 Beer has formed a pellicle in the neck of the carboy. Decided not to rack this to the oak barrel given how tasty it was at racking and not wanting to introduce more oxygen. Oak barrel was filled with the same recipe brewed with Wyeast Roeselare Blend. 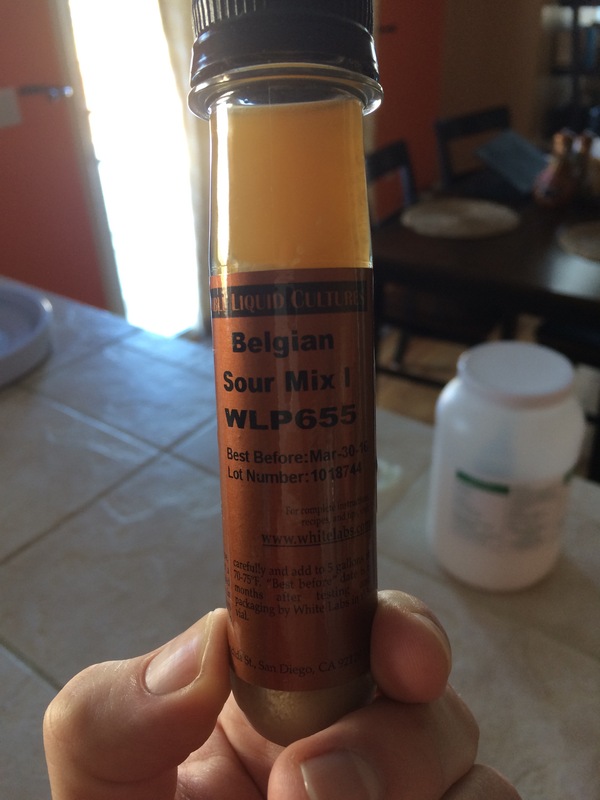 I’ve been told by a bunch of folks that the White Labs sour mixes are a little underwhelming, but I’ve never used them myself. In the future I recommend starting with a packet of Wyeast Roeselare and supplementing with additional mixes like Melange or Amalgamation to get maximum complexity and tartness. Thanks! I actually wanted to make this with Roeselare but wyeast hadn’t refilled it for a couple months at my LHBS. I think this blend of WLP is actually a good primary only frementer, I just tasted it before putting it in prolonged storage and it’s pretty damn tart, I’m quite happy so far. I certainly will take any tips on sour brewing however because I am brand new to it, thanks for the input! Have you brewed much with amalgamation or melange? I’ve been intrigued by the descriptions and looking to try them.